UJU QR Barcode Reader is the fastest, smallest QR / barcode scanner out there. UJU QR Barcode Reader is an essential app for every Android device. 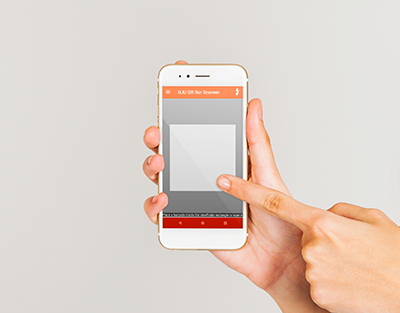 UJU QR Barcode Reader / QR code reader is extremely easy to use; simply point to QR or barcode you want to scan and app will automatically detect and scan it. No need to press any buttons, take photos or adjust zoom. UJU QR Barcode Reader can scan and read all QR / barcode types including text, url, ISBN, product, contact, calendar, email, location, Wi-Fi and many other formats. After scan and automatic decoding user is provided with only the relevant options for individual QR or Barcode type and can take appropriate action. You can even use UJU QR Barcode Reader to scan coupons / coupon codes to receive discounts and save some money. Scan product barcodes with UJU QR Barcode Reader in shops and compare prices with online prices to save money. UJU QR Barcode Reader app is the only QR code reader / barcode scanner you will ever need.